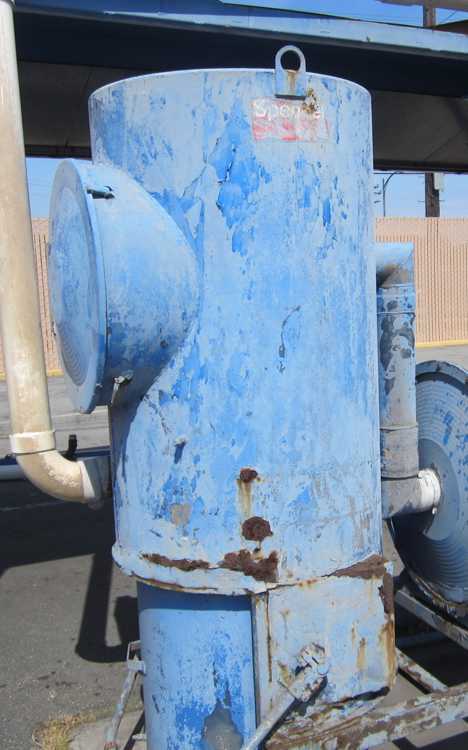 Hold the hot wax and spare the soap, these abandoned car washes have blow-dried their last vehicle and will no longer thank you for coming again. Hillsdale may not be what it used to be but this little slice of suburbia in San Mateo, California still boasts the 120-store Hillsdale Shopping Center and the convenient Hillsdale Caltrain Station. Perhaps the popularity of the latter has caused a drop in private auto ownership, thereby reducing business at the former Hillsdale Car Wash to an unsustainable level. As photo-documented by Phillip T. Alden, the Hillsdale Car Wash appears to have been relatively recently abandoned and most of its machinery and signage is intact, if a little worse for wear. OK, maybe more than a little. 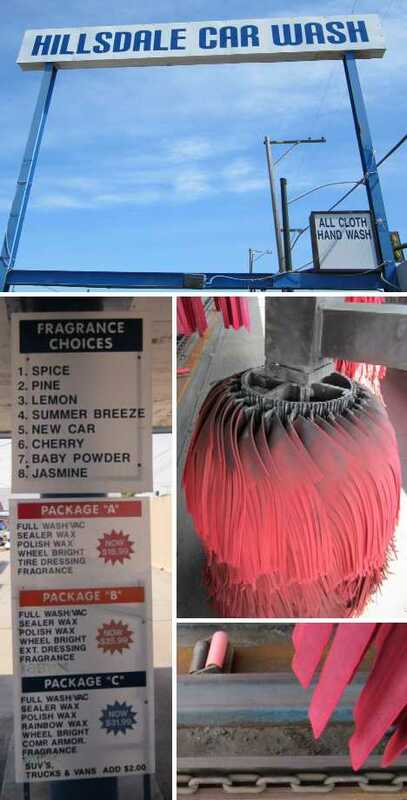 One imagines the car-owners of Hillsdale will now have to search far and wide for a car wash that offers custom interior fragrances such as Summer Breeze, New Car, Baby Powder, and Jasmine. That’s not a car wash, THIS is a car wash and if any place NEEDS a car wash it’s Australia, what with all that red dust flying about. Flickr user Ryan Smith (RS 1990) captured this long-abandoned 1988 Kleindienst Euro-Combi car wash in Salisbury, a northern suburb of Adelaide, South Australia. As might be expected in one of the more arid areas of OZ, the car wash is more dusty than rusty. Sorry Mad Max, you’ll have to take your filthy Falcon XB Pursuit Special somewhere else. Praise the Lord and pass the hot wax! 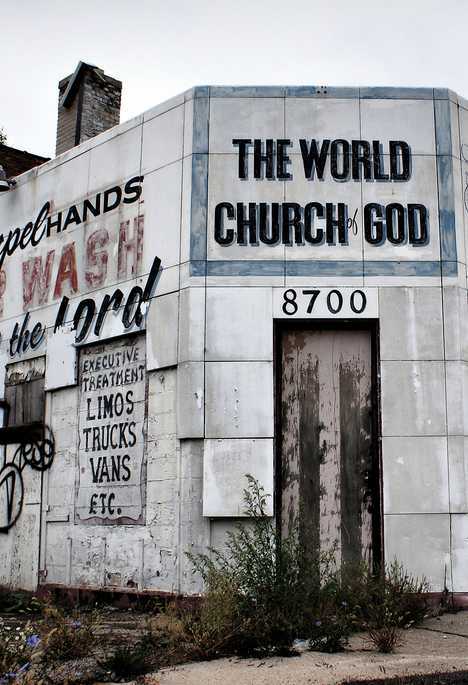 Credit Flickr user Detroit Liger (Robert Monaghan) with this hauntingly beautiful image of a former Detroit car wash reborn (no pun intended) as a community church, then abandoned once more. 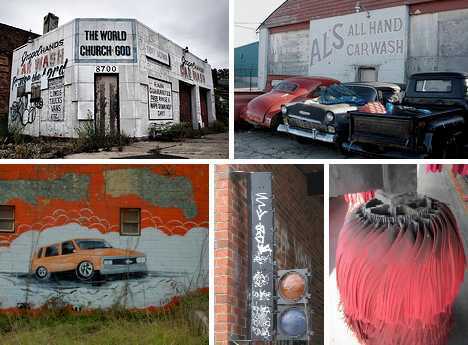 Located on on Mack Avenue two blocks east of Detroit’s historic Indian Village neighborhood, the “Gospel Hands Car Wash” has been shuttered so long it’s not certain whether it functioned first as a car wash and then as a church, or operated as a curious combination of both. Pimp my ride? No thanks, but how ’bout baptizing my Buick? It isn’t easy being a Cubs fan, and living within shouting distance of Wrigley Field ain’t no bowl of cherries neither. 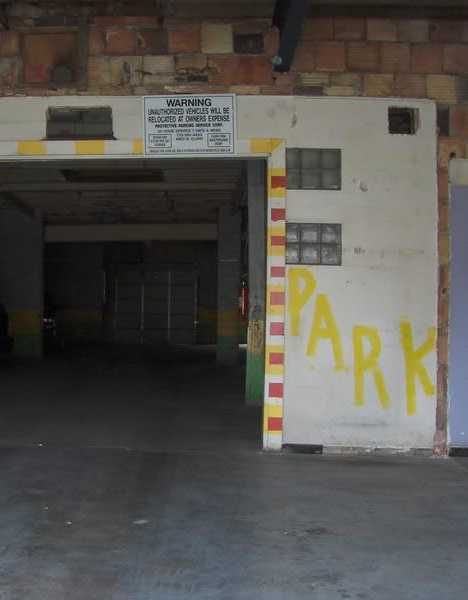 A few privileged car-owners have found a sheltered oasis just off Clark Street, however, as this long-abandoned Chicago car wash now provides a precious few parking spaces conveniently close to The Friendly Confines.